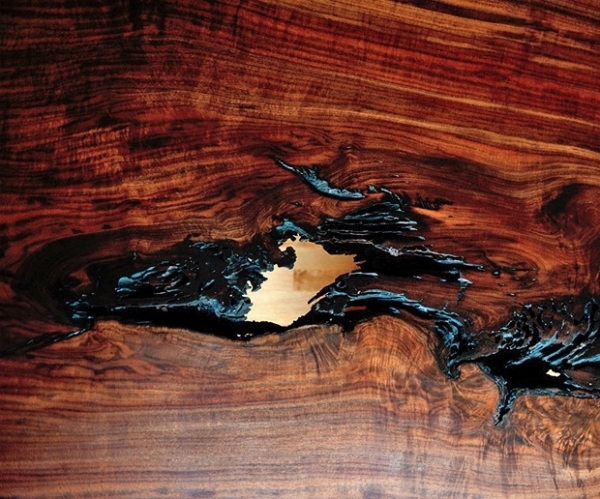 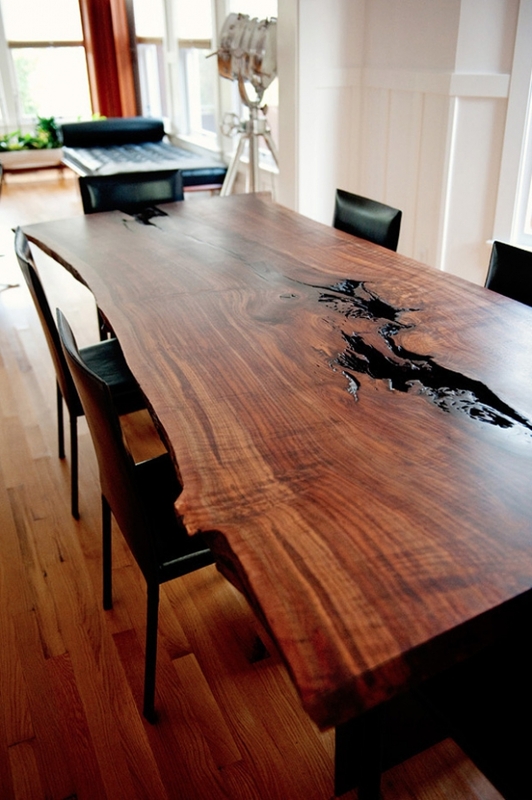 This wood slab table is a prime example as to how beautiful nature and trees in particular can be. 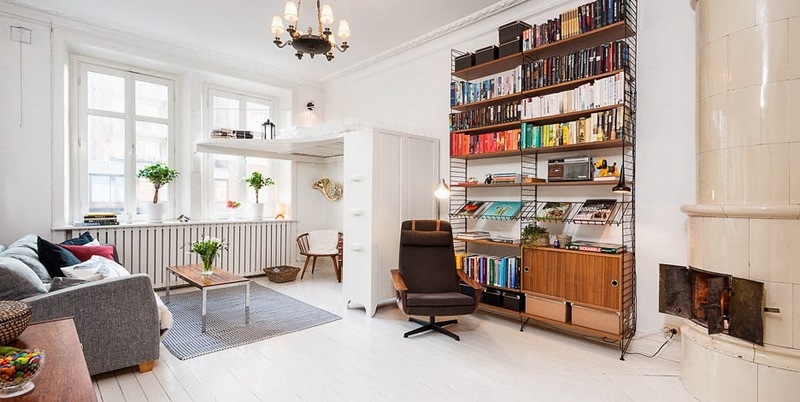 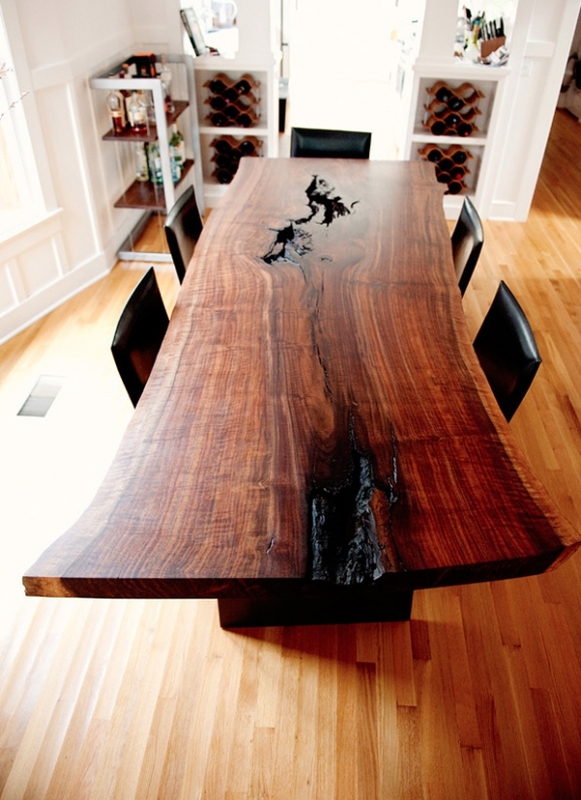 The grain of each piece of timber is totally unique, it can be enhanced to bring out the true beauty and provide an amazing piece of furniture for your home. 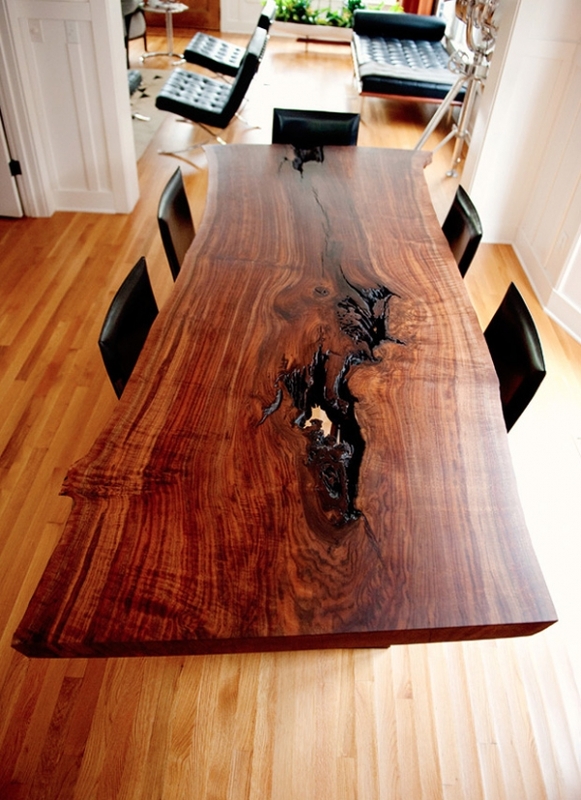 Taylor Donsker Design has hand crafted this masterpiece from a Claro Walnut tree that fell naturally and the result is spectacular. 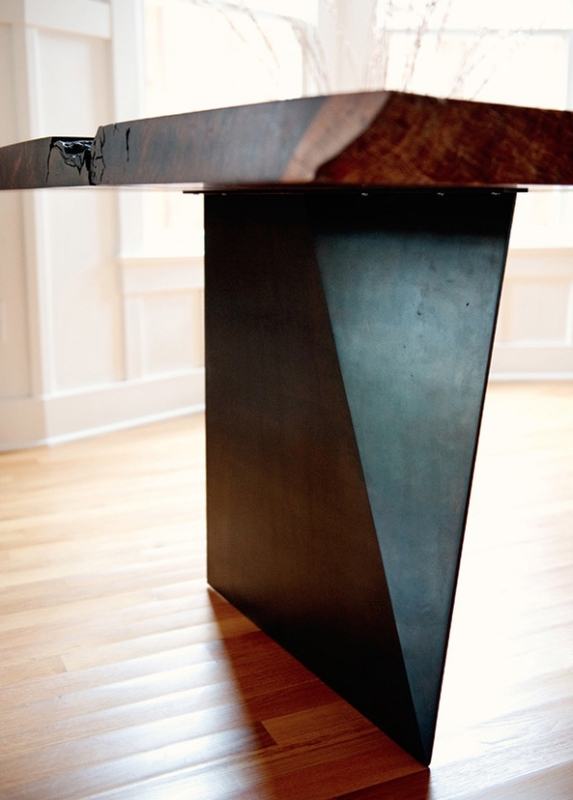 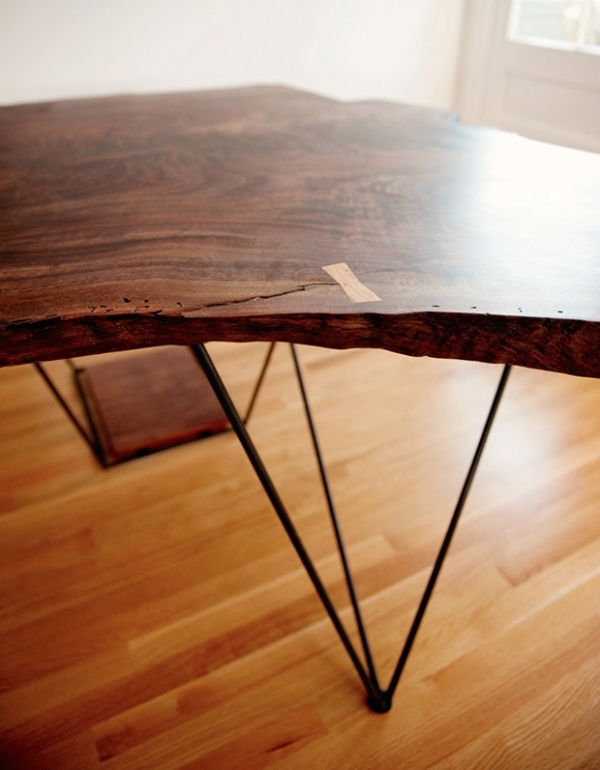 To give the wood slab table a long lasting finish, it was oiled (to bring out the wood grain), while all metal parts were given a coat of a blackening patina. 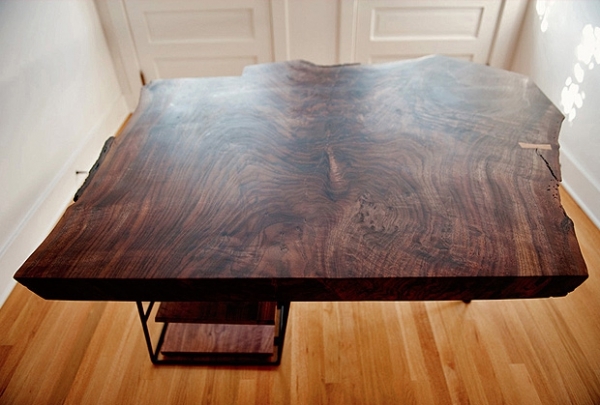 Any imperfections in the walnut have been left to become part of the character of the wood slab table as does the natural shape of the piece of wood used. 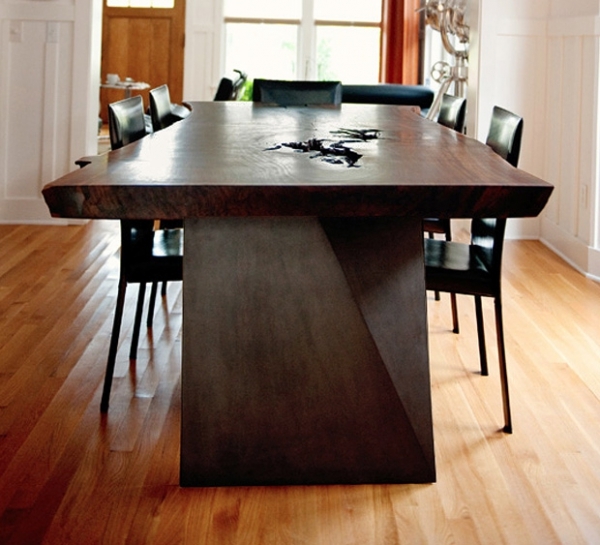 Each table or desk made this way cannot be reproduced so they are ideal for homes where you want to make a statement. 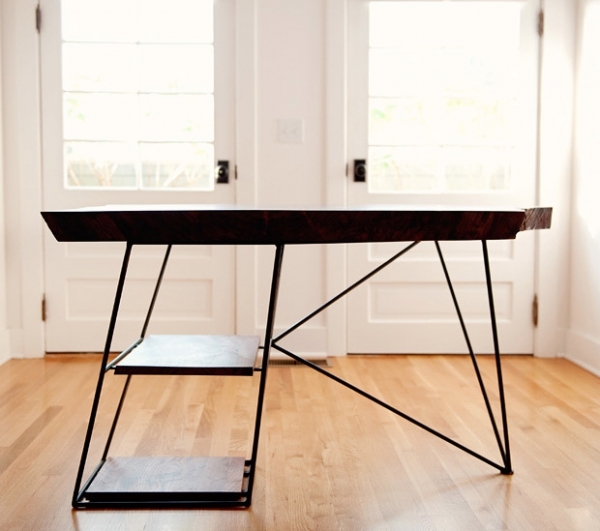 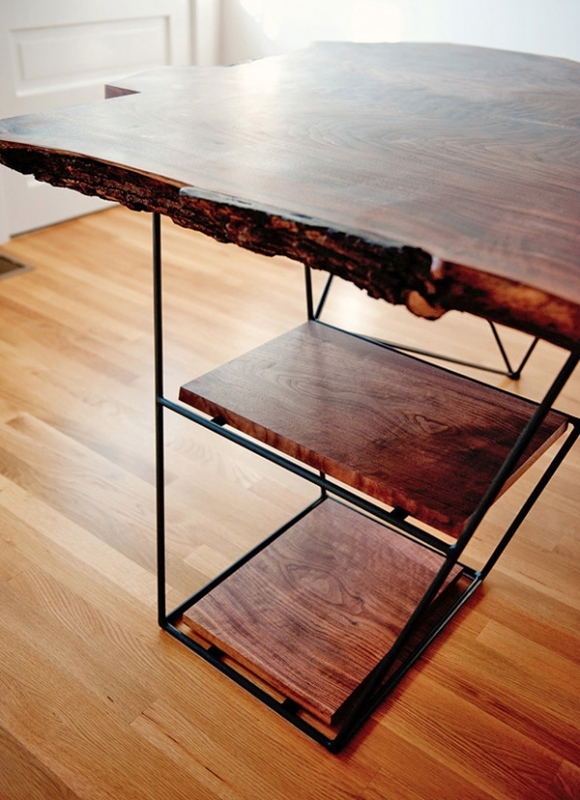 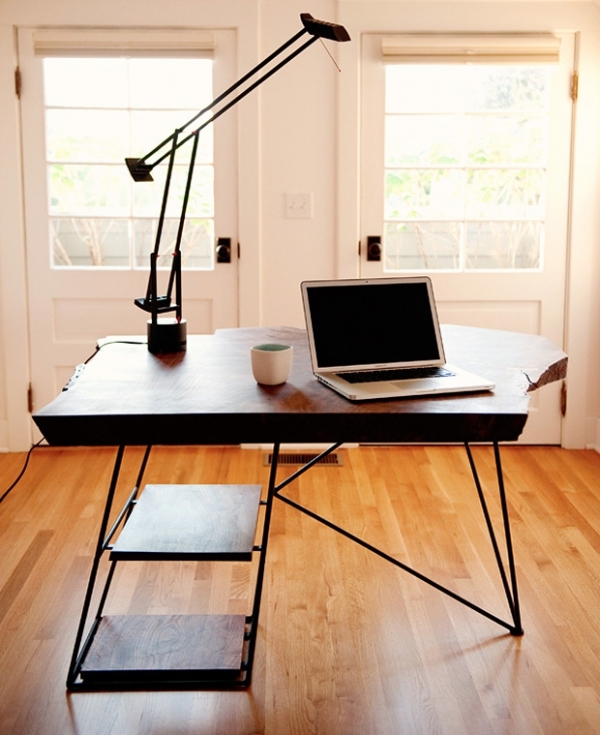 Owning a table or desk such as this one is a way to appreciate the worth and beauty of natural materials.